So what is NATO, exactly? 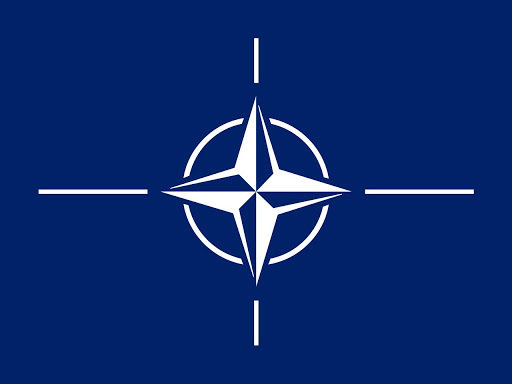 The general purpose of NATO, or the North Atlantic Treaty Organization, starts with NATO’s definition: NATO a multi-national political and military alliance dedicated to the collective security and defense of its member nations. NATO operates on the belief that a strong international alliance is critical to maintaining peace. Beyond helping member nations with issues of security and stability, NATO also provides support to the United Nations help with international peacekeeping operations, including missions that combat terrorism, protect civilians, and promote world peace. Originally founded on April 4th, 1949 when its 12 founding members signed the North Atlantic Treaty, NATO is now comprised of 29 members from around the world and has political partnerships with 21 other nations. Together, all of the NATO countries work together to “guarantee the freedom and security” of its member nations through a combination of international diplomacy, conflict prevention, and—if necessary—military intervention. To fully answer the question “What is NATO?”, it’s important to understand the historical and political context behind NATO’s formation. World War II was perhaps the most defining moment of the 20th century. The Second World War pitted the world’s greatest powers against one another through two opposing military alliances: the Axis and the Allies. The United States—along with France, Poland, the Soviet Union, the United Kingdom, and 21 other nations—banded together to fight against the Axis powers and Hitler’s plan to create a new world order. The war, which started on September 1, 1939, would rage for six long and bloody years before its conclusion on September 2, 1945. Historians estimate that the war resulted in 85 million casualties, including the 6 million Jews who were killed during the Holocaust. The end of World War II caused the global political winds to shift overnight. Most of Europe, which was already struggling after World War I, ended World War II economically devastated. Not only was the population decimated, 70 percent of Europe’s industrial infrastructure had been destroyed during the conflict. This caused Europe’s economy—including the economies of the world’s biggest political empires—to collapse. As a result, the United States suddenly found itself positioned as one of the world’s leading economic and political superpowers for three major reasons. First, the country’s late entry into the theater limited World War II’s economic toll. In fact, quite the opposite happened. Because the United States supplied the Allied forces with food, weapons, and military equipment, World War II created a booming wartime economy for the States. The Second World War was such a boon to the American economy that it actually ended the Great Depression! Second, the United States saw almost no action on its own soil (with the exception of the Attack on Pearl Harbor on December 7, 1941). That meant that America didn’t have to undertake the massive, and expensive, rebuilding effort of its Western European allies. Third, and perhaps most importantly, the United States bankrolled the reconstruction of Europe...for a profit, of course. American Corporations involved in the war effort saw ballooning profits because of the reconstruction efforts, which were bolstered by The 1946 Marshall Plan, which pledged an additional $13 billion dollars to Europe in aid. So while the United States was committed to helping their fellow Allied powers rebuild, it wasn’t afraid to build its own economy at the same time. But the United States wasn’t the only emerging world power after the Second World War. Despite fighting alongside one another during World War II, the alliance between the Soviet Union (or USSR) and the United States started to deteriorate during the post-war reconstruction period. As World War II began winding down, the communist Soviet Union—led by Joseph Stalin—began its own imperialist expansion. The Soviet Union had managed the eastern front of the World War II battle theater, and as the Red Army beat back Germany, set up its own occupation of formerly German-occupied states like Poland and Czechoslovakia. And rather than relinquish these nations at the close of the war, the Soviet Union maintained control and installed pro-communist regimes. The Soviet occupation of Eastern Europe, along with the USSR’s blockade of West Berlin in an attempt to gain political control of post-war Germany, convinced the United States that the Soviet Union had become a threat to democracy on par with the now-defeated Nazi Germany. Thus, the U.S. government adopted a policy of containment in order to halt the spread of communism into Western Europe. Additionally, the U.S. revealed the Truman Doctrine in 1947, which was a foreign policy that promised American aid to any democratic country that was threatened by outside totalitarian regimes. While the United States and its allies started to view the Soviet Union as an emerging communist threat, the Soviets had also soured on their alliance with the West. The USSR had suffered catastrophic casualties during World War II. The country had lost 11 million soldiers and suffered between 7 million and 20 million civilian casualties. The Soviet economy was also struggling. Beyond spending $125 billion on wartime efforts, the USSR’s economy had simultaneously shrunk by 20 percent between 1941 and 1945. The USSR had sacrificed both manpower and resources to defeat Nazi Germany, and it was sorely in need of financial assistance during post-war reconstruction. The United States was willing to offer the Soviets financial aid under The Marshall Plan, but the USSR wasn’t happy with the stipulations. First, the plan offered aid to Germany, which Russia disagreed with. The USSR, which now occupied Eastern Germany, wanted total control over whatever funds Germany received as part of The Marshall Plan. Second, The Marshall Plan required countries that accepted aid to adopt elements of democratic governance, including instituting principles of a free market economy. Stalin suspected—and rightly so—that The Marshall Plan was designed to weaken the USSR’s hold on the newly-acquired Eastern Bloc countries and, in turn, stymie communist expansion. As a consequence, Stalin required the Eastern Bloc nations, which were devastated by the war, to reject The Marshall Plan and instead instituted The Molotov Plan, which pledged to rebuild Eastern Europe. This tension led to both sides drawing a line in the sand. The Soviets and the United States positioned themselves on opposite sides of an ideological battle between communism and democracy, which marked the beginning of The Cold War. The writing was on the wall: the Allied powers had defeated one totalitarian enemy only to suspect that another in the form of Soviet Russia was waiting on their doorstep. The United States feared the outbreak of another major war as tensions with the USSR escalated, and President Harry S. Truman believed that a strong political alliance was critical in containing the Soviet threat. As a result, Truman called for the formation of a defensive alliance of countries bordering the North Atlantic. 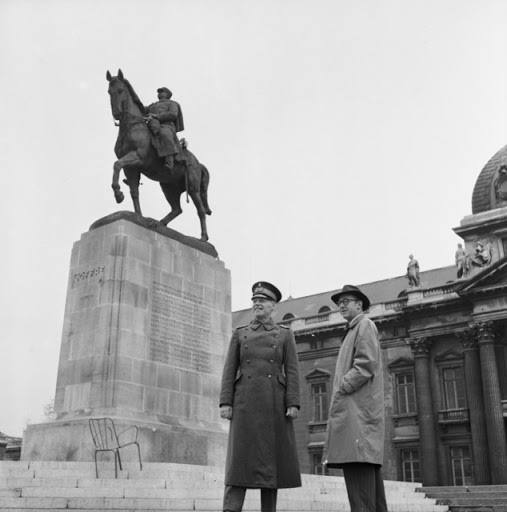 The foundational idea behind this alliance was to serve as a deterrent against the USSR’s expansion into Western Europe. To do this, the signing nations agreed to a system of mutual defense. If one country was attacked by an outside power (like the USSR), it would be perceived as an attack against all of the alliance’s member nations. That would allow the United States to step in and help its democratic allies beat back a Soviet incursion, which in turn would prevent the encroachment of communism into Western Europe. 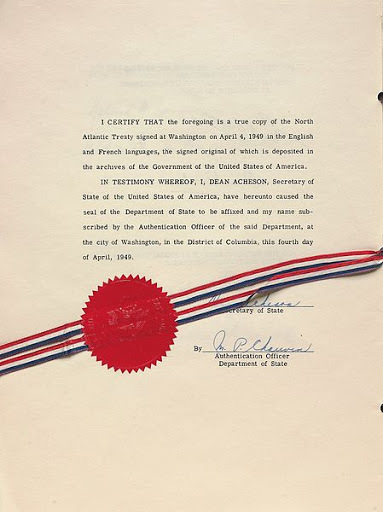 This alliance was formalized with the signing of the North Atlantic Treaty in Washington D.C. on April 4, 1949. These 12 originating countries, all of which were part of the Allied forces during World War II, created the North Atlantic Treaty Organization, or NATO. Article 10 puts three stipulations on aspiring member states. First, new members must agree to all the elements of the North Atlantic Treaty, including its commitment to democracy and collective defense. Second, only European states can become members. And third, in order to join an aspiring nation must meet all the criteria set forth by current member states, which is summarized in a Membership Action Plan (MAP). In addition to these general areas, each member nation is allowed to present additional criteria member nations must meet to gain admission. That means that each MAP is tailor-fit to each applying country; no two membership plans are alike! When a country receives a MAP, NATO provides feedback and advice to petitioning countries and evaluates their progress after their annual presentation. Once a country has met all the admissions criteria outlined in its MAP, NATO gives it an invitation to begin accession talks. NATO is selective about countries it gives a MAP to; in fact, countries must be nominated for admission into NATO by a current member nation before a MAP is ever considered! As of 2019, two countries—Bosnia and Herzegovina and Macedonia—have a Membership Action Plan in place. Beyond being selective, NATO’s admissions process is a long one. How long, exactly? The three countries most recently admitted into NATO (Albania, Croatia, and Montenegro) took seven to eight years to complete their Membership Action Plans! 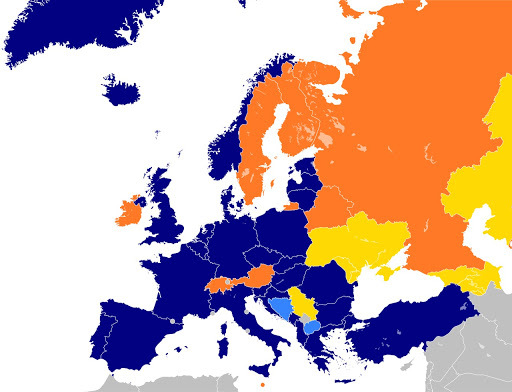 Since NATO is a collective, each member nation is expected to contribute to the alliance financially. There are two ways member nations do this: through indirect and direct contributions. These are the largest pool of contributions and come when member countries volunteer resources to help NATO enact a policy or support a mission. Unlike indirect contributions, direct contributions are made financially. In other words, these are liquid funds that are used to support projects that benefit all member nations collectively. 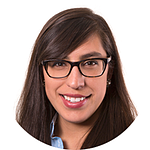 Each member nation is required to meet some form of its funding requirements through direct contributions. This is because there are some missions, like diplomatic or aid endeavors, that are best handled through immediate spending. How Much Do Countries Donate? So, how much is each country expected to pay into the collective NATO pool? Well, that depends. 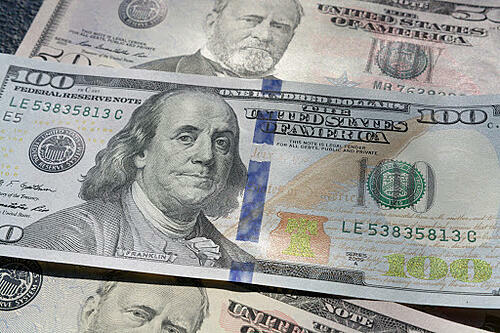 NATO uses a cost-sharing formula that accounts for each nation’s Gross Domestic Product, or GDP. This is calculated by percentage. In 2014, in an effort to increase NATO’s defense efforts, the NAC agreed to require each country to donate two percent of their GDP to NATO’s operating budget through indirect and direct contributions. This helps keep things fair. If NATO set a specific dollar amount that each country had to meet, smaller countries might struggle to meet their financial obligations. This way, each country can contribute based on how their economy is performing, which helps keep the financial burden of NATO membership equal. Although NATO was formed as a deterrent for the USSR’s expansion and the spread of communism, NATO didn’t disband when the USSR collapsed in 1991. Instead, NATO continues to fulfill the NATO definition of defending its members and supporting democracy to this day. In a 2010 Strategic Concept agreement, NATO states its three core tasks as collective defense, crisis management, and cooperative security. These three goals form the backbone of NATO and steer its decisions. In the next section, we’ll take a look at each of these three pillars more closely. First and foremost, NATO serves as a defensive alliance founded on upholding democratic values and principles. Its primary purpose is creating a network of collective defense, which means that member nations work together to ensure that all countries in the alliance are secure from outside threats. NATO does this by sharing knowledge, financial, and personnel resources with member nations. This includes sharing intelligence, but it also involves more practical tactics like bringing countries’ military technology up to date. While NATO’s first goal is to resolve international conflicts diplomatically, the alliance is also set up to use military force to defend allied nations when necessary. This aspect of collective defense (also known as NATO’s Article 5) and was the major reason NATO was founded in 1949. This principle states that if one nation is attacked by an outside force, the alliance will view it as an attack on every member nation. In other words, attacking one member of NATO means that all the countries in the alliance will respond. This allows bigger, more powerful countries in the alliance to protect its smaller NATO allies. In turn, smaller nations give NATO better tactical positioning in relationship to potentially adversarial global powers (like Russia and China). By essentially surrounding potential adversaries with allied nations, NATO disincentivises territorial expansion. Because NATO is committed to maintaining global peace by promoting security, the organization is also committed to responding to global crises before, during, and after they arise. This includes a mix of military and non-military tactics which are tailored to each crisis, which in turn dictates the scope and scale of NATO’s response. NATO is also positioned to help other political allies, like the United Nations, in their responses to global crises. Most recently, NATO implemented the UN’s resolution to protect civilians in Libya during its civil war. Finally, because crisis management supports NATO’s commitment to security, NATO helps its member nations and political allies train in crisis management techniques. This ensures that NATO can respond quickly with an international effort whenever an international crisis arises. NATO’s last, and newest, core task is cooperative security. Introduced in 2010, this task focuses on creating an extended network of cooperation between member and non-member countries to tackle global problems quickly and efficiently. To do this, NATO focuses on strengthening its relationships with partner nations. These are countries who aren’t part of NATO but work with NATO to tackle security problems in their region and across the world. As of 2019, NATO works with 40 other nations in some capacity. The goal of these partnerships is to share information, knowledge, and other resources in order to create more stability and security across the globe. Additionally, NATO makes sure that all of its member nations have fairly equal military and technological capabilities. This also includes training: all member nations have access to NATO trainers to make sure countries have the knowledge and skills they need to respond to security threats. By making sure all member nations are capable partners, NATO as a whole becomes stronger. NATO nations are committed to working together as part of the alliance and work together on a daily basis. In terms of the alliance’s operational structure, NATO is split into two major categories: the NATO diplomatic delegations and the military representatives. Let’s take a closer look at both to see how NATO nations work together to make decisions and work together toward their common goals. The diplomatic delegations represent the political arm of NATO. 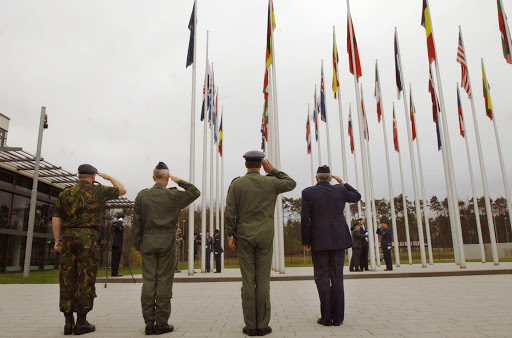 Each NATO member nation sends a delegation to represent their country to NATO’s headquarters in Brussels, Belgium. These representatives attend around 6,000 meetings a year! 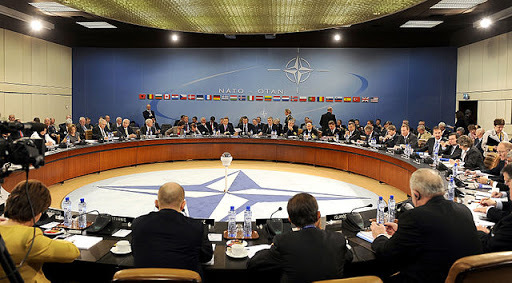 The most important element of NATO’s political arm is the North Atlantic Council, or the NAC. This council oversees the political and military processes that affect the alliance. To this end, the NAC serves as the political decision-making body of NATO. In other words, any NATO decision—whether that’s an initiative, resolution, or military action—is voted on by the NAC. To keep representation equal, each member nation has one seat on the NAC, which meets once a week. And just like collective defense, the NAC operates through collective decision making. Unlike the U.S. legislature, where decisions are approved by majority vote, the NAC only implements policies that are “agreed upon on the basis of unanimity and common accord.” In other words, the NAC makes decisions through consensus, and those decisions represent the will of every member country on the council. The diplomatic branch of NATO has one other notable subcommittee called the Nuclear Planning Group (NPG). Like the NAC, every NATO member nation (with the exception of France, which decided not to participate) has representation within the committee whether they have nuclear capabilities or not. The group’s goal is to monitor nuclear forces around the globe while shaping NATO’s own nuclear policies in regards to arms control and nuclear proliferation. Thus, the NPG deals specifically with nuclear issues and reports to the NAC, who makes the final decision on anything the Nuclear Planning Group puts forward. Because NATO is a defense alliance, NATO has a military branch of operation, too. This branch is comprised of three operational groups: the Military Committee (MC), Allied Command Operations (ACO), and Allied Command Transformation (ACT). Let’s take a look at all three groups and their unique responsibilities. This committee advises the NAC on military policy and strategy and is charged with enacting all of NAC’s military-based decisions. Its main job is to oversee NATO’s military operations and translate the NAC’s decisions into military direction. Similar to the NAC, each nation has one representative that sits on the Military Committee. These seats are held by each member state’s Chief of Defense (or their proxy) and meet at least once a week to discuss ongoing operations and ongoing security concerns. Additionally, the Military Committee oversees the other two groups of the military branch: Allied Command Operations and Allied Command Transformation. NATO’s ACO is headquartered in Mons, Belgium at the Supreme Headquarters Allied Powers Europe (SHAPE), and it’s run by the Supreme Allied Commander Europe (SACEUR). The ACO is responsible for the planning and execution of all Alliance operations and reports to the Military Committee. So once the NAC decides to use military force for crisis management, the control of the operation is turned over to the ACO, which runs the operation from beginning to end. To do this, ACO has three overlapping operational levels: strategic, operational, and tactical. This allows ACO to run complete military operations, including the command of both NATO and joint military forces (which are military forces “donated” to NATO by member nations for use in NATO-sanctioned operations). But as the world changes, so has the ACO’s role in NATO. The newest responsibility of ACO was assigned by the North Atlantic Council in 2018. After their meeting in Brussels, the NAC decided to establish a Cyberspace Operations Centre dedicated to defending member nations against cyber attacks from outside forces, too. 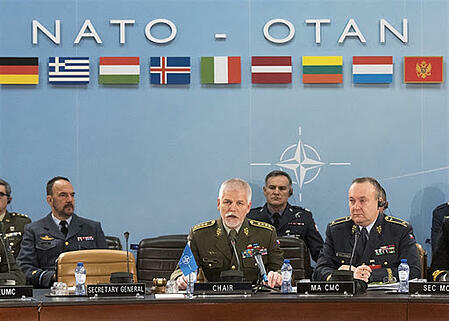 NATO’s ACT is the second branch of military command in NATO and was formed in 2003 to help NATO address future threats. It is located in Norfolk, Virginia and is run by the Supreme Allied Commander Transformation, or SACT. Like the ACO, the SACT reports to the Military Committee and is responsible for making sure that ACT and NATO are preparing for modern and future threats to the security of its member nations. Put another way, the goal of ACT is to plan for the future. Its job is to lay the groundwork for NATO’s military forces to adapt quickly to changing threats and prepare for security issues looming on the horizon. This includes reporting to the Military Committee and advising them on current tactics and future problems. Additionally, ACT is charged with bringing all member nations up to speed in terms of their military capabilities. Not only do they provide training to member nations’ military forces, they serve as a sort of lobby group to persuade member nations’ governments to invest in security and military preparedness, too. Ever since its founding in 1949, NATO has been a key actor in global political, military, and peacekeeping efforts. Here are some of the most pivotal moments in NATO’s seventy-year history. 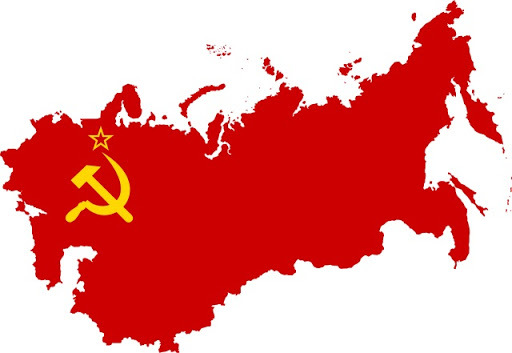 In 1991, the USSR officially disbanded, granting each of its formerly-sovereign nations back their independence. This brought NATO’s original operating mission (and The Cold War) to an end; after all, NATO was originally created to stop the USSR and the spread of communism. Instead of disbanding, NATO nations decided to continue NATO’s mission of promoting peace, freedom, and collective security. The Bosnian War began in 1992 with the breakup of Yugoslavia. 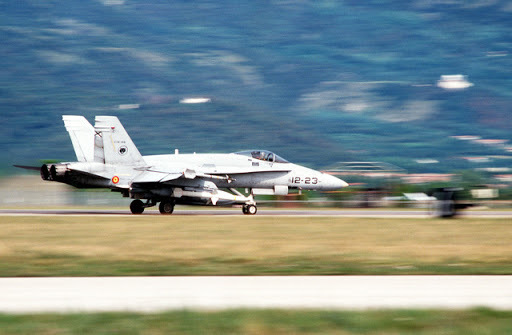 As the situation deteriorated, the United Nations called for a no-fly zone to be set up over Bosnia and Herzegovina. NATO stepped in to manage the operation on behalf of the UN and took its first military action when NATO shot down four Bosnian Serb aircraft that were violating the no-fly zone. The Kosovo War began in 1998, and soon after the fighting began, reports began to trickle in about the displacement of more than 250,000 Albanians. The United Nations responded with a resolution calling for a ceasefire. When the resolution failed to stop the conflict, NATO issued an “activation warning,” which meant NATO was prepared to use military force to mitigate the conflict. When peace talks deteriorated, NATO launched an air campaign that included bombing of key targets. NATO also played a key role in negotiating the end of the war and helping restore stability by stationing 30,000 troops in Kosovo. As a result of Article 5, NATO nations rallied to support the United States’ conflict in Afghanistan. NATO agreed to eight official actions/missions, which included the deployment of troops, military support, and supplies to the region. In 2003, NATO also agrees to take command of the ISAF, or International Security Assistance Force, in Afghanistan, which marks the first NATO crisis management mission outside of the North Atlantic region. The Libyan Civil War begins when Libyan protests against their totalitarian government bubble over into a full-blown revolution. The United Nations called for a ceasefire and authorized military measures to protect Libyan civilians. NATO began enforcing the UN’s resolution in March 2011, which included creating a no-fly zone over the country and 9,500 air strikes. After the rebel’s victory, NATO agreed to provide training for the new Libyan government and consult on security issues. Want to learn even more about the Cold War and NATO history? We’ve found four super helpful resources just for you! NATO’s official website offers a thorough overview of NATO’s history along with its current policies, operations, and strategic missions. This is a great place to start if you want up-to-the-minute news about NATO’s current actions and international positions. (Don’t forget to check out NATO’s official Facebook, Youtube, and Twitter accounts, too.) It also has a fantastic chart that explains NATO’s operating structure! The U.S State Department’s overview of America’s involvement with NATO offers a more U.S. centered view on NATO’s formation, including the signing of the North American Treaty. For a short NATO history overview with a more American focus, this is a good place to start! If you’re wanting a more comprehensive, in-depth look at the history of NATO from its formation to modern day, Stanley Sloan’s book should be your first stop. Sloan, a Senior Fellow in the Scowcroft Center at the Atlantic Council of the United States, dives into NATO’s definition, founding principles, and continued role on the world stage. He also discusses NATO’s future, especially as its member nations face new and complicated challenges to their security. If you really want to dig deeper into NATO’s role in the 21st century, look no further than Graeme P. Herd and John Kriendler’s book. This book compiles essays from many different academics and historians to give readers a better, more thorough sense of NATO’s current role in global politics and the current challenges facing the organization. This is definitely an academic book, but the essays offer interesting new insights into NATO’s evolving role on the global stage. NATO is just one pivotal part of modern history...and it’s just one topic you might find on an AP History exam. 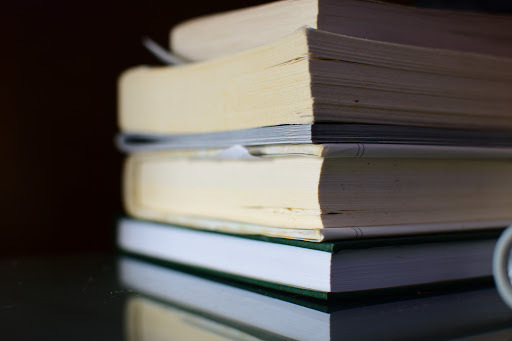 To get a better understanding of U.S. history, check out some of these books on our AP History Exam reading list. Of course, one of the best ways to learn more about U.S. history is to make sure you’re taking history classes. Most high schools offer a variety of history classes, so make sure you’re taking the right ones for you. AP exams aren’t the only specialized tests available for college-bound high school students hoping to earn some college credit. Did you know that the SAT offers subject exams, too? This article will teach you more about the SAT subject tests and help you decide whether you should take them.